Still remember the famous horror zombie drama, The Walking Dead? The fourth season of AMC's television series, The Walking Dead is original adaptation of Robert Kirkman's comic book series is right around the corner. 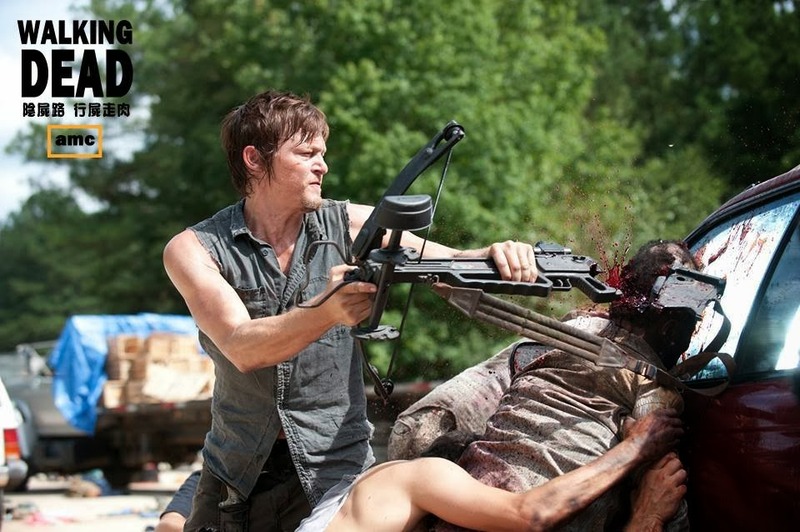 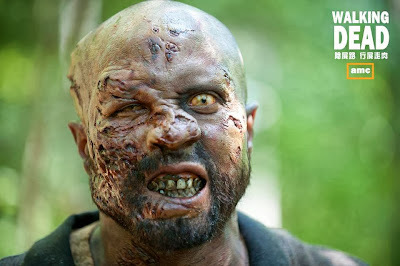 The Walking Dead premiered on October 13, 2013, to consist of 16 episodes. 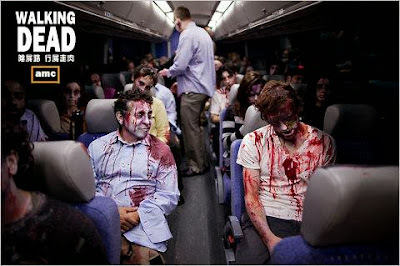 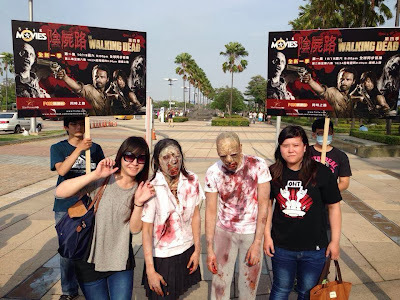 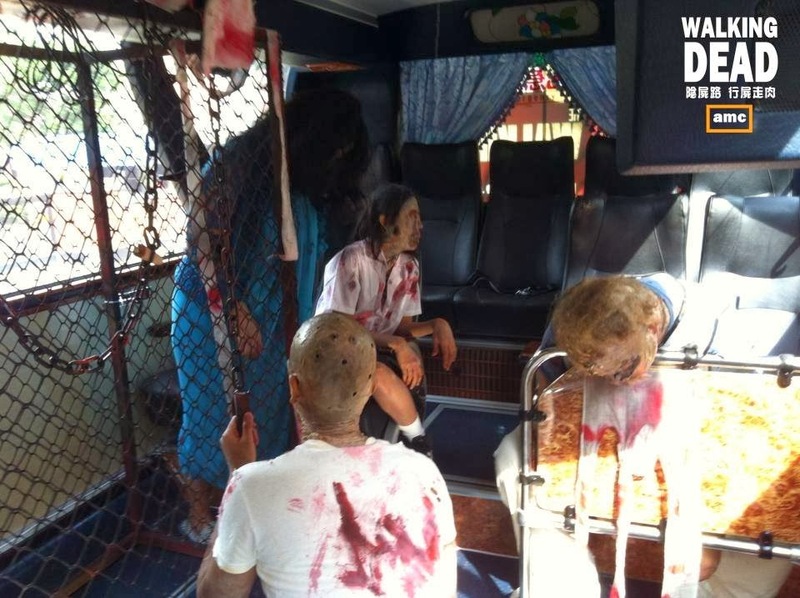 Taiwanese company make a zombie bus tour around Taiwan to promote the drama. People are excited and take long queue to “visit” zombie. 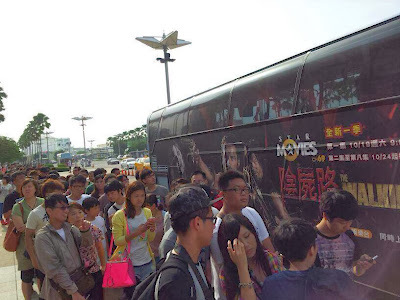 The promotion hit the crowd and get very good response.